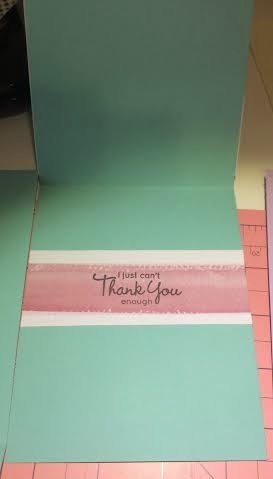 Today I present the second of two sets of thank you cards I made as gifts. 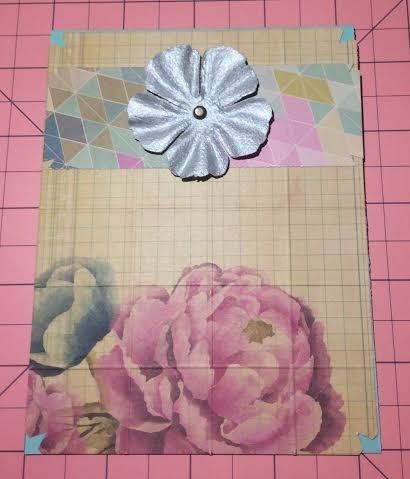 Both use one of the stamps from the set I previously mentioned receiving as a free gift (Polka Dot Greetings set from Die-namics). 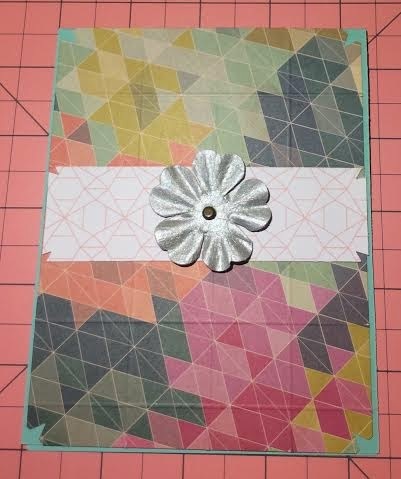 Additionally, in the same free gift package Simon Says Stamp sent me two different types of embellishments that I used for these card sets. I would not have bought them myself, but they ended up being great additions to these projects. 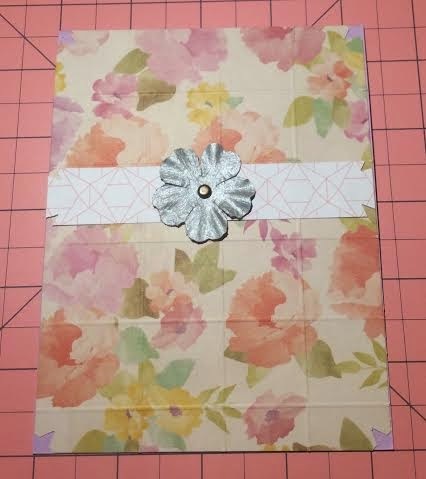 The one used in the cards in this post are from the Prima Flowers Sunrise Sunset Collection. (Again, the free gift items can be hard to track down.) I used metal fasteners to secure the flowers. 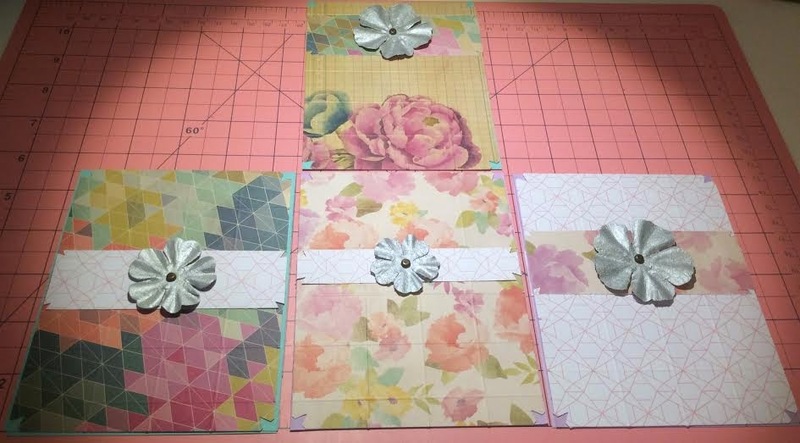 I also used Heidi Swapp's 5x7 Wanderlust Collection. I really adore this paper pad. 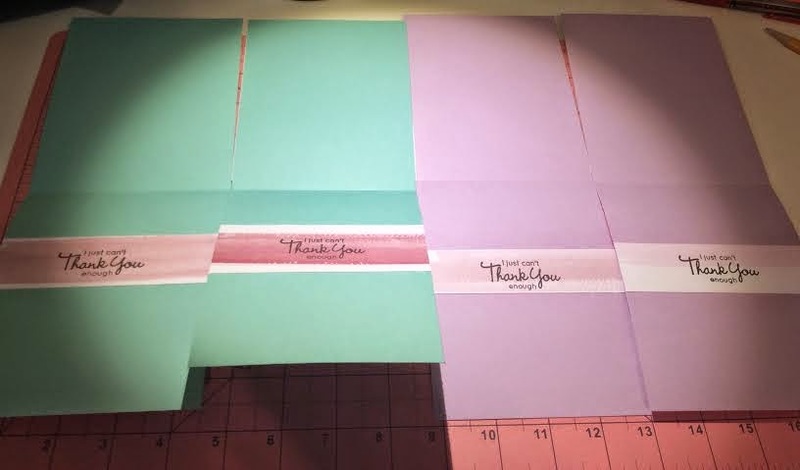 I cut one of the sheets into sections to make the sentiment interiors. I love that the interiors then match but also all look a bit different because that particular paper sheet resembles swipes of paint in progressively darker shades. 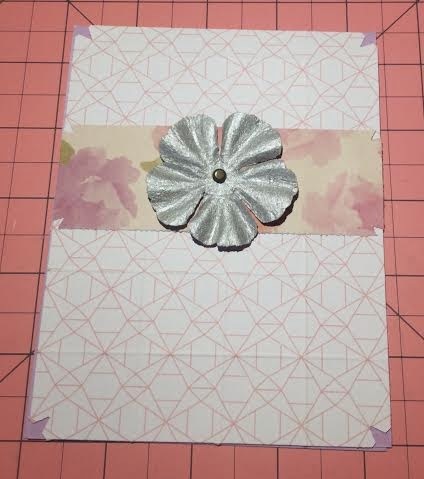 For these cards I tried out a technique I saw in this Soapbox Creations blog post with my new score board. I love when you can achieve an interesting affect with a simple process.